Tracie’s Music Together has been serving families in the Palm Beaches for almost 15 years with fun and educational mommy-and-me music & movement classes. Based in Princeton, New Jersey, “MUSIC TOGETHER®” is an internationally recognized program and a pioneer in research-based early childhood music education. Classes are designed for babies, toddlers and preschoolers accompanied by a parent or caregiver. The program builds on a child’s natural enthusiasm for music and movement. 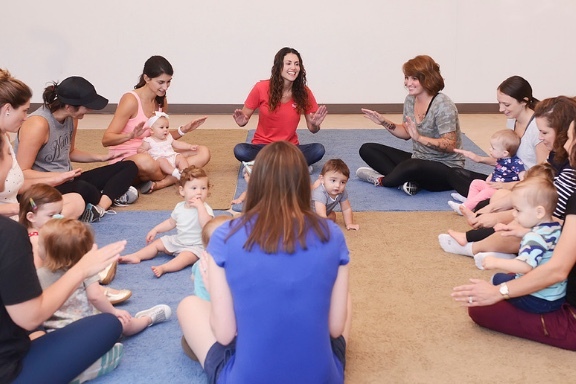 Participants meet weekly for a 45-minute class to experience songs, chants, movement activities, instrumental jam sessions AND to bond with their baby and have some beautiful FUN! Try a class anytime for FREE! We have locations in Palm Beach Gardens, Jupiter and soon to be in Wellington and Palm Beach! We offer Mixed-Age classes (ages 0 – 4) as well as Infant-Only classes (ages 0 – 1). Visit our website to learn more! www.traciesmusictogether.com. You can email or text Director Tracie Krieger anytime with questions. 561-400-7489 or traciekrieger@me.com. We can be found on FB and Instagram, too!